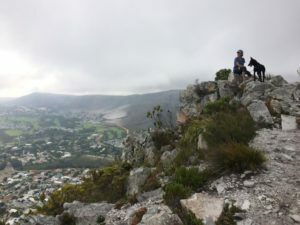 In early October 2018, SafeLane’s training school in South Africa received a new group of canines to be trained as explosive detection dogs. They were going to be deployed to various projects around the globe. Amongst that group of dogs was a shy young black Belgian Malinois called Kay. She integrated quickly like her peers, and went into training, gaining confidence and showing off her excellent focus. She quickly became best in her class because she was so focused. Unfortunately, Kay didn’t adapt to the kennel environment however. The dedicated dog school staff invested heavily in Kay, taking her to a series of veterinarians for expert advice. Kay had scans, x-rays and multiple tests to try and identify her underlying issue – but to no avail. She was put onto anti-anxiety medication to help; this did not deter her focus or need to be busy. Following consultation with canine operations manager Bob Crawford, Kay’s condition was fully understood. This was a dog that felt isolated during her kennel time. If left in such an environment she would begin to suffer. Kay needed to be re-homed immediately, and only then would her anxiety abate. The simple fact was, Kay needed to be in an active environment, but one where she could be a pet and get all the love and stimulation she needed and so rightly deserved. As long as they are socialised, loved, played with and stimulated sufficiently, the vast majority of working dogs love life. Just occasionally, a dog like Kay comes along however, and cannot adjust to the kennel life. The next challenge was trying to find a new home for Kay. The response to the re-homing advert was unbelievable, everyone wanted to adopt Kay! But finding someone who had the time to spend with her and manage her anxiety was tricky. Fortunately Lauren and Erlo Brown, a young couple from Hermanus in the Western Cape, saw the advert and got in touch. Lauren made the trip to Pretoria to come and visit Kay and bond with her. There was an instant connection and it was clear these two were just meant to be. Lauren was kind enough to organise the required home inspection visit and raise sponsorship to cover Kay’s flight down to the Cape. “What does one entire 2ply toilet roll, the stuffing in a leather couch, one brand new slipper and a dog bed all have in common? A Belgian Malinois. It’s been 7 days since we adopted our Kay from Safelane Global. Seven fun filled and slightly scary days of experiencing what it is to have a Malinois being a part of our family and living in our house. Day one saw us going to the beach for a 90min play/training session where Kay discovered a love for frisbees and running up and down the sand dunes. 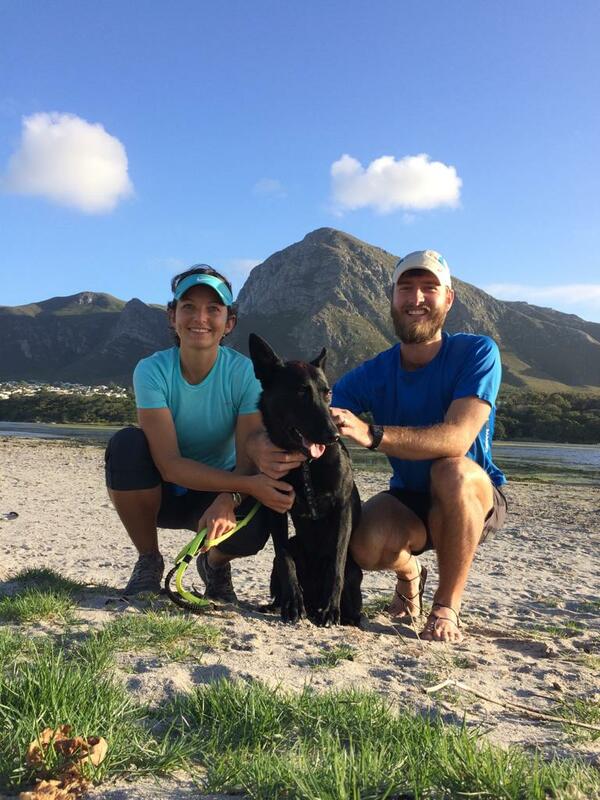 She passed out and slept the whole day, only to wake up for our 8km trail run through the mountains surrounding the greater Hermanus area. When we applied to adopt Kay, we put some serious thought into what it would mean to adopt a Belgium Malinois. As the breed has become popular, many normal, everyday people underestimate their stamina and need for stimulation. Our reason for adopting her, besides having a house companion and fellow running partner, was to encourage us to get out of the house, if only to take in the wonder of nature around us on a leisurely walk. 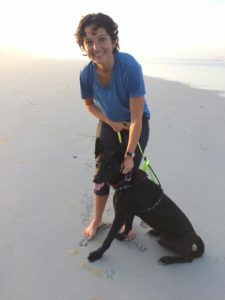 Since getting Kay we go hiking or trail running almost every day and go for long jaunts on the beach to make sure she gets what she needs and to keep our leather couch intact. What we didn’t realize was how quickly she would adjust and learn new things. After only two training sessions we had her walking with us semi-calmly on a leash and bringing back her toy in a fetch scenario. Now, seven days later, she walks behind us on the beach and runs behind us on the trails all without a leash. Although I must admit she was a little slow when it came to her dog bed, she kept trying to wrestle it into submission and pounce on it, but after day 4 she discovered how much more comfortable it is to lie on compared to the hard, cold tiles. We’re still working on her sniffing…which can be awkward when she repeatedly noses you and your company between the legs, but that’s what you get when you adopt a sniffer dog! That, and a fantastic security system which keeps the baboons on their toes every time they even think about coming in the house. But the best thing about adopting a sniffer dog is getting to look into her soulful brown eyes and feel lucky because she came across your path. Everybody that meets her congratulates us on the beautiful, intelligent, sensitive dog that we have been blessed with. Thank you, Lauren and Erlo for giving Kay such a wonderful new life.